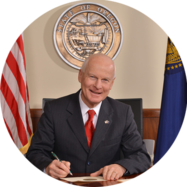 SALEM, OR — As part of Secretary of State Dennis Richardson’s ongoing efforts to increase transparency, accountability, and integrity in state government, he is launching a new type of audit report tomorrow. Since taking office, Secretary Richardson has added one-page summaries at the beginning of each audit, improved the readability and usefulness of audit reports, and created a new format for agency responses. For over a year, Secretary Richardson has asked audited agencies to list whether they agree or disagree with each audit recommendation and, for the recommendations with which they agree, to include a target implementation date and the name and phone number of a specific contact person. To further increase accountability, the Audits Division will begin issuing follow-up reports on agency progress (or lack of progress) toward implementing audit recommendations. The first follow-up report will be released tomorrow.